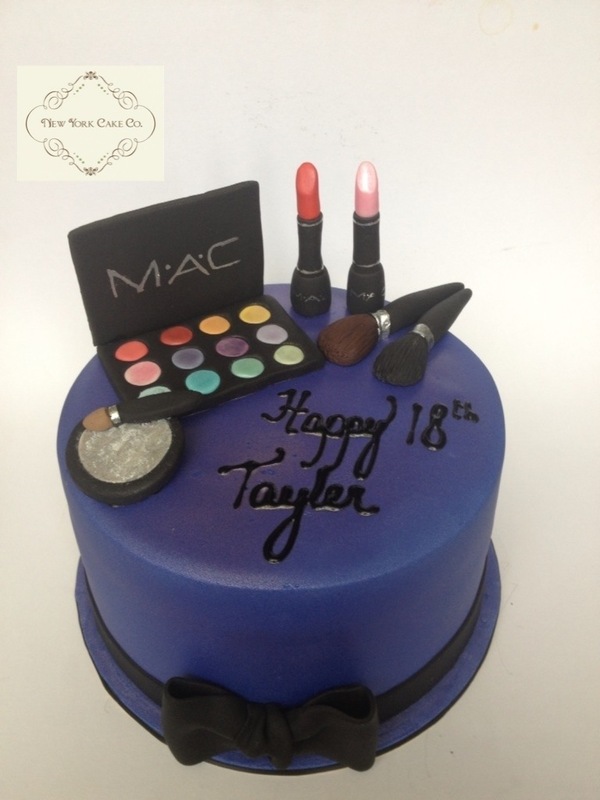 March | 2014 | New York Cake Co.
Posted on March 28, 2014 by New York Cake Co.
She’s turning 18 and is a make up queen, a MAC make up queen to be exact! You’ve probably guessed it… a MAC inspired cake is on order. She likes to play with make up and I like to play with sugar – in any form. For this cake I used a mix of fondant and gumpaste. After several hours here’s what my sugar play created. Happy Birthday Tayler! 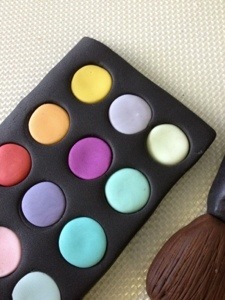 Posted in New York Cake Co News, Specialty Cakes and tagged 18th, birthday, black, blush, bristles, brushes, cake, compact, eye shadow, handmade, lipstick, MAC, make up, New York Cake Co, pink, purple, red, townsville. Bookmark the permalink. Posted on March 24, 2014 by New York Cake Co. 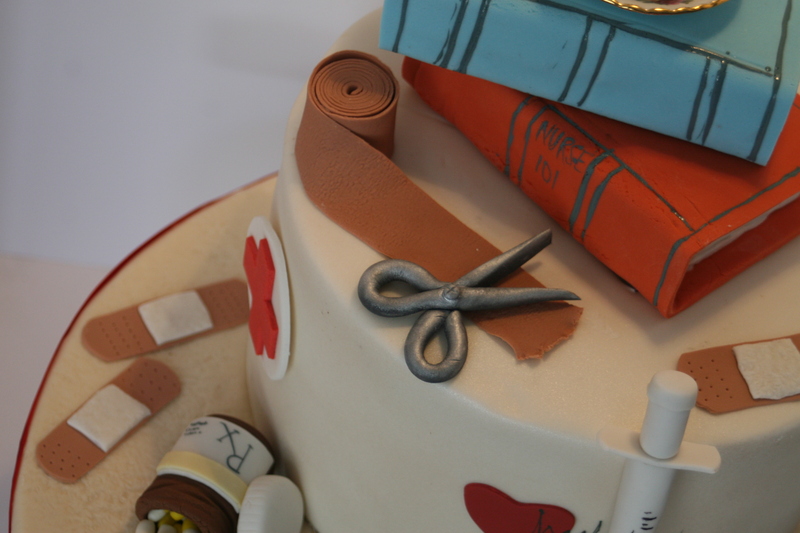 Some time ago I made a cake for a student that was becoming a doctor. 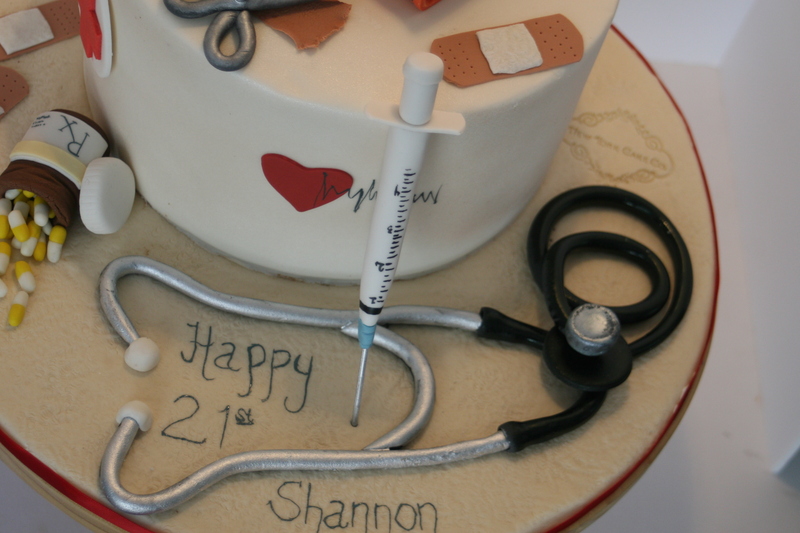 The cake received so much attention on social media, it was no surprise that a request came through for a similar cake with a nurses spin. Ok… but what tools are different between a doctor and a nurse? Oh my goodness, the crazy things cake decorators have to think about! Of course, I know how different their roles are as professionals. But I had to take a second thought as to what I would create that upon the first sight the cake quietly screamed: Nurse, Nurse, Nurse!! After a little more thinking, I realized it was their medical tools differed most. In general on a visit to the doctor, it’s the doctor that does the initial exam. Then he/she diagnose (or try to!) you. After that diagnosis they give the orders to the nurse. Then it’s the nurse who actually carries out the orders. As for the doctor he’s on to the next patient in Room 2. Well, this is the way my head imagined it. It’s the nurse who bandages up the wounds, injects your arm, and say’s “you’ll be fine!” before walking out the room and leaving you to re-dress. 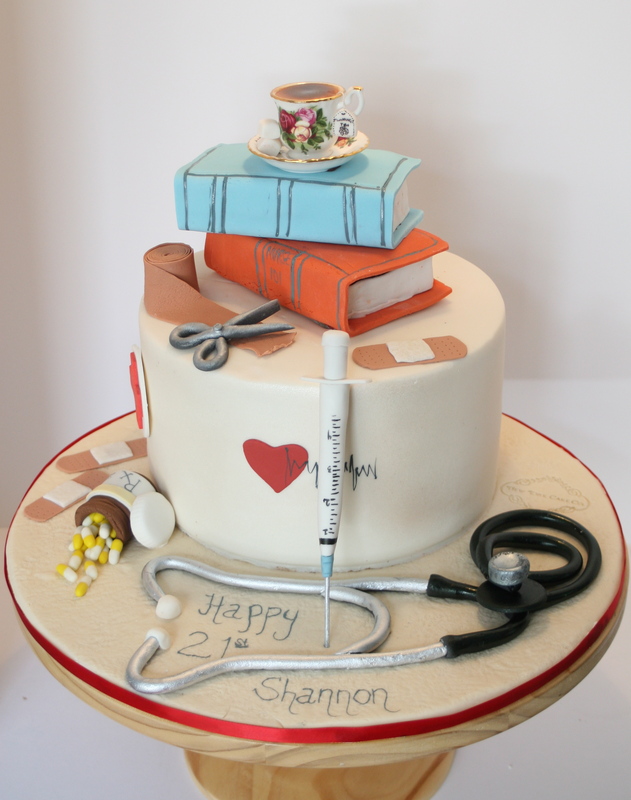 Posted in Specialty Cakes and tagged cake, doctor, medical, needle, new york cake, Nurse, pills, study, syringe, tea, townsville. Bookmark the permalink. 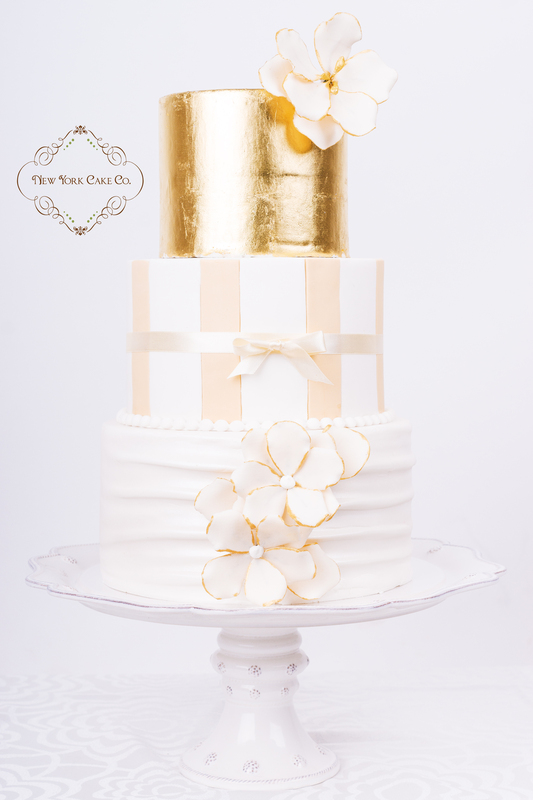 Posted on March 12, 2014 by New York Cake Co.
Who doesn’t love the beautiful sparkle of gold and silver? Though they are just metals, they are rather precious ones and make all things beautiful. They are also no strangers to the world of food either. Did you know, when pressed thin enough gold leaf, can be eaten too! Well, for years silver and gold leaf have been used to decorate confectionery. Now gold and silver leaf are applied to wedding cakes! The effect is stunning and worth gracing any wedding table, in my opinion. It’s been a while since any specials have run on the New York Cake Co. facebook page. So read below for your FREE giveaway! 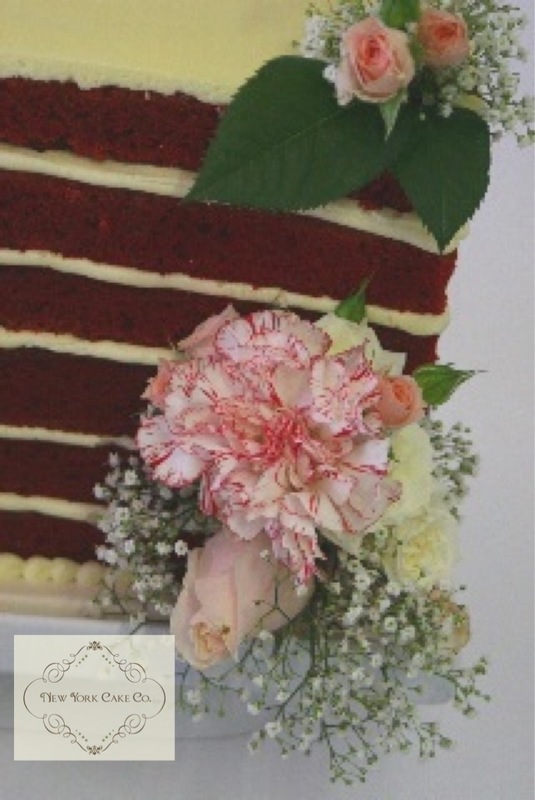 For one fortunate couple I will create either or silver or gold leaf 6″ cake to share with your friends. Just share your story of how you got engaged, when you got engaged and how the proposal went down. The stories will be shared on the facebook page and the story with the most likes and comments wins! Please email you stories and one photograph to newyorkcakeco@gmail.com. 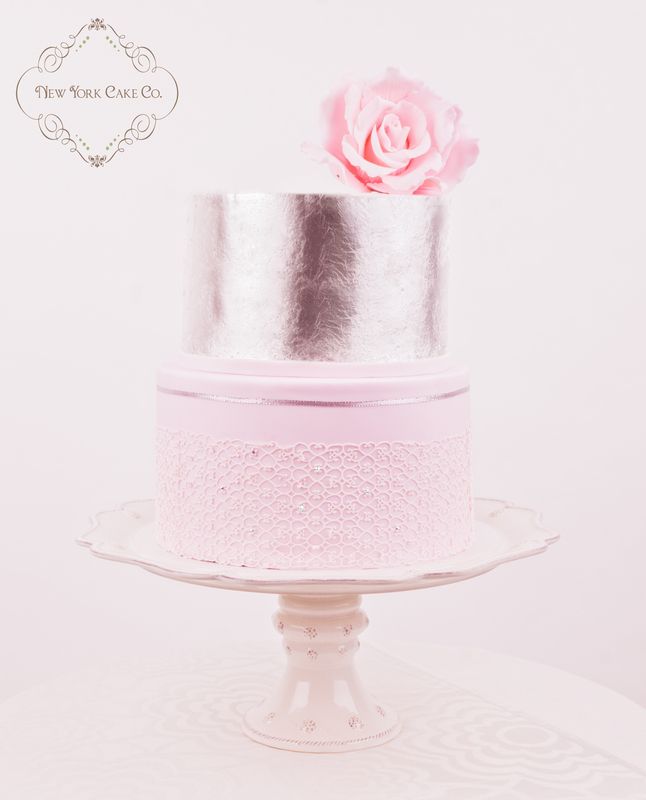 Posted in New York Cake Co News and tagged crystals, fondant, gold leaf, New York Cake Co, pink, silver leaf, Sugar flowers, townsville, wedding. Bookmark the permalink. Posted on March 9, 2014 by New York Cake Co. Many years ago I purchased a Canon EOS. At the time it was “the camera to have” or the Jones’ of the camera world. I bought two lenses with it and a flash pack, feeling oh so pleased with myself, it seemed that in the world of photography I had arrived. In a few short years, all cameras went digital and my optical EOS was basically useless. Finally, when I went back to New York for a six week vacation I did a little (well, maybe a lot, actually it was a lot!) of shopping. One of my purchases was to buy a digital Canon camera. It had to be a Canon, as I hoped the old lenses would still be compatible. I sheepishly asked the gentleman helping me. He said “yes” and then did a test. They worked! I wanted to literally jump for joy and probably could have, as the very tolerant New Yorkers probably wouldn’t have thought me to be too odd. But I didn’t, just did internal cartwheels instead. Since, my cake creations seem to be gaining more and more of an audience. I soon learned that the typical iPhone photographs definitely could go and be replaced with professional ones. I have nothing against iPhone cameras, as there are amazing editing apps available to create a good photograph and to me the quality is most of the time good enough. A few days after I got back to Australia, a Red Velvet cake was waiting to be delivered for a lady’s 40th Birthday. She didn’t want any icing over it and in the cake decorating world it’s called a “naked” cake. A few fresh from Townsville Flower Market dressed it up perfectly and then for the first time I grabbed my new Canon. Tadaa! A moment in history was made… my own professional cake photograph. Posted in New York Cake Co News and tagged 40th Birthday, Canon 30D, facebook, lady, Naked Red Velvet Cake, New York Cake Co, New York City, photography, Theresa Francis, townsville. Bookmark the permalink.